The latest round of fixtures in the UEFA Europa League will be played on Matchday 4 of the group stage. One of the most open groups of the tournament, Group F, could be thrown upside down when AC Milan travel to Estadio Benito Villamarin to take on table toppers Real Betis on Thursday. Real Betis currently sit atop the Group F standings with seven points. But, they are not through to the knockout rounds just yet, with AC Milan and Olympiacos following closely with six and four points, respectively. 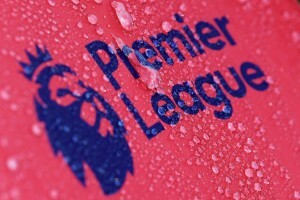 A win on Thursday though, will take either side a step closer to a place in the Round of 32. As far as domestic form is concerned, Los Verdiblancos have struggled to put a string of positive results together, and have managed to win just one of the three games they have played since then. As a result, Quique Setien’s men are languishing at 14th on the La Liga table, a far cry from their fortunes in the Europa League. AC Milan, on the other hand, have been on the up in recent weeks, having managed to notch up three close wins since being beaten by Real Betis. The Rossoneri are now in the top four of the Serie A table and will hope to improve their fortunes in the UEFA Europa League. The reverse fixture, played at San Siro two weeks ago, ended in a 2-1 win for Real Betis, with Patrick Cutrone only managing to score a late consolation goal for AC Milan. Ahead of the latest meeting between the two sides, The Hard Tackle takes a closer look at the UEFA Europa League encounter. Quique Setien has an almost clean bill of health to boast of ahead of the visit of AC Milan. On Thursday, the Real Betis boss will have just one player on the sidelines, with experienced midfielder Javi Garcia a long-term absentee. With a near full strength squad at his disposal, Setien will hope for a solid performance from his men. Pau Lopez should be the man between the sticks for the Beticos, with the young goalkeeper impressing with his quick reflexes. Ahead of him, Setien has usually opted for a three-man defensive line, featuring Aissa Mandi, Marc Bartra and Sidnei, with the trio looking to remain compact and kill off the space for the AC Milan front men. Junior Firpo and Francis Guerrero will likely be the two wing-backs that will be aiming to maraud up and down both the flanks in order to help out in defence as well as attack. Meanwhile, Andres Guardado and William Carvalho are expected to be the two midfielders who will be tasked with providing cover to the backline while also setting the tempo of the game. 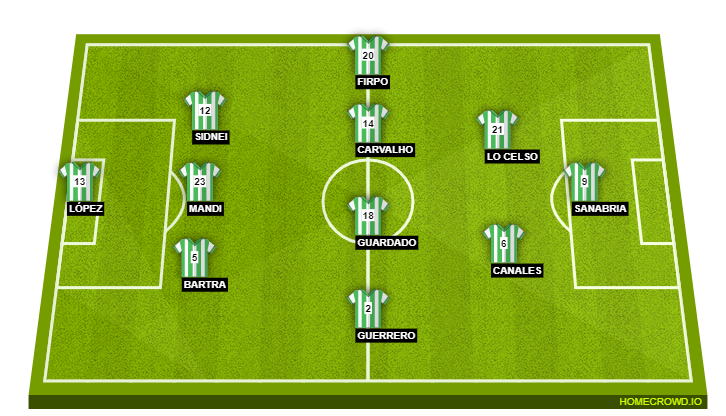 In attack, Setien has a glut of options giving a variety of ways to go about breaching the opposition defence. On Thursday, the support cast for the central striker will likely be instructed to veer infield and be more compact, meaning Giovani Lo Celso and Sergio Canales should be the two attacking midfielders. Upfront, Antonio Sanabria is expected to get the nod ahead of Loren Moron, while the likes of Takashi Inui, Sergio Leon and Cristian Tello should be impact substitutes. Gennaro Gattuso has a lengthy list of absentees ahead of the trip to Estadio Benito Villamarin. On Thurday, the AC Milan boss could be without as many as eight first-team players due to various fitness problems. The long list of absentees include Davide Calabria (ankle), Ivan Strinic (heart condition), Mattia Caldara (calf), Giacomo Bonaventura (knee), Lucas Biglia (calf), Emanuele Torrasi (unspecified), Hakan Calhanoglu (ankle) and Gonzalo Higuain (back). Additionally, Samu Castillejo is also unavailable due to suspension, after being sent off in the reverse tie. 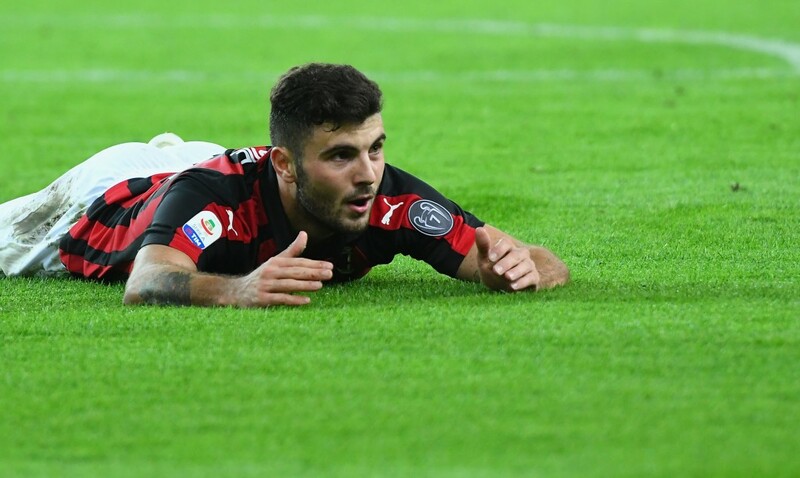 The absence of Higuain, in particular, could be telling, and Gattuso will need Patrick Cutrone to step up in his stead. 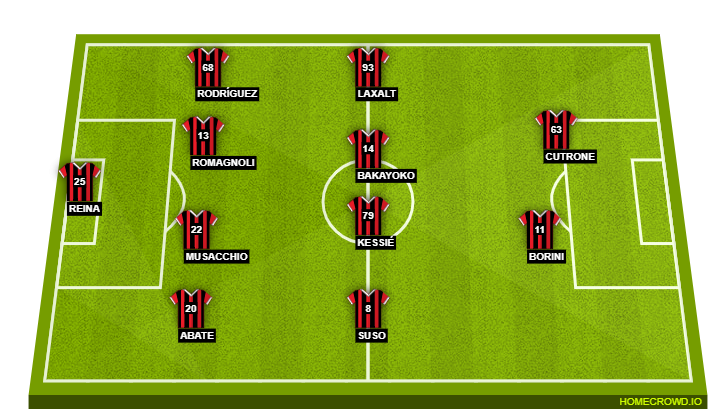 Meanwhile, with Bonaventura and Biglia unavailable, the AC Milan manager has had to shuffle his system to a 4-4-2, with Tiemoue Bakayoko and Franck Kessie lining up at the heart of midfield. Suso and Diego Laxalt should start as traditional wingers, with the latter providing the width on the left flank and aiming precision deliveries from the wide areas. Upfront, Cutrone is likely to be joined by Fabio Borini, with Gattuso having a shortage of alternate options. The manager does not have an abundance of options at the back either, meaning his defensive line comprising of Ignazio Abate, Alessio Romagnoli, Mateo Musacchio and Ricardo Rodriguez picks itself. Behind the quartet, Pepe Reina should be the man between the sticks for AC Milan. 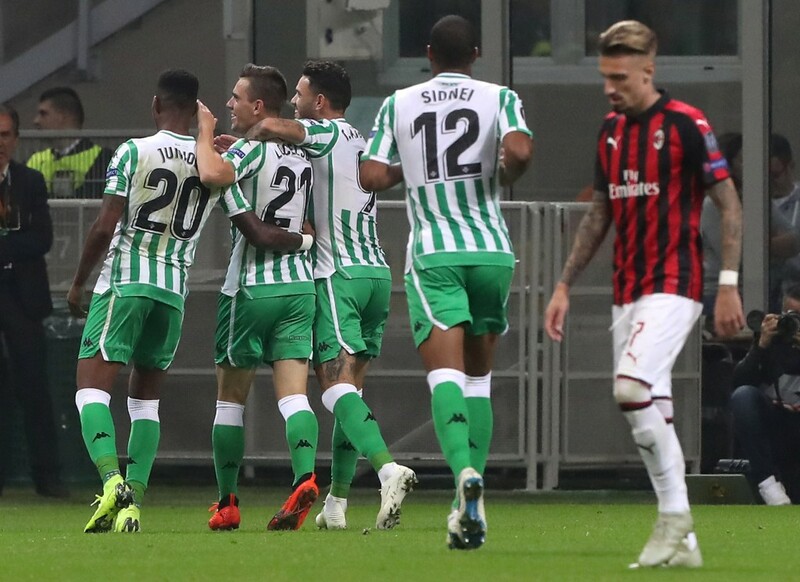 Real Betis have been the winners in two of their three previous meetings with AC Milan – in September 1977 in the Cup Winners’ Cup, and in October in Milan. AC Milan have lost each of their last five games away to Spanish sides, scoring three goals while conceding 15 in return. Real Betis have lost just one of their last eight games in the Europa League (W4 D3), against Sevilla in March 2014. AC Milan are aiming to win consecutive away games in major European competition for the first time since October 2009, vs Marseille and Real Madrid. Giovani Lo Celso, who scored and assisted against Milan last time out, has two goals and an assist in his last two games in major European competition, having failed to score and assist even one goal in his previous eight such games. Gonzalo Higuain is set to miss the return tie against Real Betis, which could affect AC Milan adversely against a side that is still unbeaten in Europe this season. In the absence of the star striker, Gennaro Gattuso will need one or two players to step up in order to get a positive result, and that player could be Patrick Cutrone. The young Italian has had to bide his time upon the arrival of the Argentine superstar, but he has shown a tendency to step up when it matters for his boyhood club. Now, with a golden opportunity to cement his place upfront for Milan, the 20-year-old might just arrive at the party and inspire his side to a solid win. Real Betis’ form in domestic football and Europe has been like chalk and cheese, with the Europa League proving to be a healthy distraction from their stuttering form in La Liga. AC Milan, on the other hand, have not managed to convince on either front, despite being in a healthy position in both the Serie A and Group F standings. But, the Rossoneri have been dogged in their performances in recent weeks, and we could see a similar pattern on Thursday. So, while Betis do boast a strong record at home, The Hard Tackle expected Milan to rise to the occasion, albeit belatedly, to take home a close win and usurp Quique Setien’s men into top spot in Group F.